The need for advanced planning by seniors concerning end-of-life medical intervention and decision-making authority as part of a comprehensive estate plan can never be overemphasized. No one wants to face a situation where there is no clear authority on who is to make decisions on medical care and the extent of medical care an individual would want to receive. All of this presupposes the person in distress is incapacitated, unable to speak for him/herself, and without legal documents addressing this situation. Doctors still need permission from someone to perform medical treatment, and routinely turn to informal surrogates, i.e., family members or friends, available to hear the relevant treatment options and associated risks to determine how to proceed. This can lead to bitter arguments among family members or paralyzing uncertainty about which choice to make, both of which hamstring a doctor from employing the best possible treatment. Eventually, a court-appointed guardian is likely to be named, and this person may or may not make decisions in conformity with the wishes of the incapacitated individual, especially if a professional guardian instead of a family member or close friend. Two important questions come out of this dilemma: when is someone considered incapacitated, and what is the best way to approach transferring authority and making one’s wishes known? A discussion on the legal definition of incapacity, and how to best structure health care directives so one’s wishes are more likely to be honored, will follow below. When Is a Person Legally Incapacitated? All adults are presumed to be competent, and thus, capable of making decisions about their own life and financial affairs. Competency only comes into question when a person becomes unable to make well-reasoned and knowing decisions about his/her life, or is incapable of performing the tasks associated with daily living, i.e., dressing, eating, walking, etc. 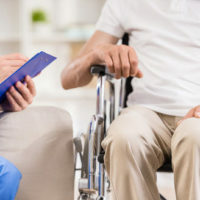 A person is only considered legally incapacitated following a court declaration of incompetency, which comes as a result of the findings of a court-appointed examining committee made up of doctors, psychologists and social workers. The committee can find a person totally or partially incapacitated, and any degree of legal incapacity will require the appointment of a guardian to handle that aspect of life the incapacitated individual cannot, either personal or financial affairs. However, even if someone has not been declared legally incapacitated, a doctor can still find him/her incompetent for purposes of providing voluntary medical consent. If a doctor suspects a patient is having cognitive difficulties that circumvent his/her ability to make rational and intentional decisions, the doctor will perform a mental status exam to assess the patient’s ability to understand and appreciate the information the doctor needs to convey about his/her health situation. Failure to pass this exam gives the doctor authority to seek out a designated proxy or close family member to make medical care decisions, which underscores the need to have health care directives in place to respond to this situation. People generally have two types of health care directives – a living will and a health care surrogate designation. A living will is a written statement in which a person declares that he or she does not want to be kept alive on life support if he or she has been determined to have an end stage condition, terminal illness or is in a persistent vegetative state, and two doctors have determined that there is no medical prognosis of recovery. If those conditions exist, then the document may identify someone to instruct the medical providers to decline or withdraw life support. Health care surrogate designations authorize a person to take over medical care decisions when a person is no longer competent. Thus, it is critical to pick a designee most likely to honor the incapacitated person’s wishes so the spirit of the health care directives is not lost in the execution. Health care directives are extremely important documents to have. There are specific statutory rules as to how they must be signed in order to be legally enforceable. Elder law attorney William Rambaum, P.A. understands how important planning for these end-of-life issues can be, and is ready to take a step-by-step and detailed approach to your situation so you get the estate plan you need. If you live in the Oldsmar or Clearwater area, contact the office today to schedule an appointment.